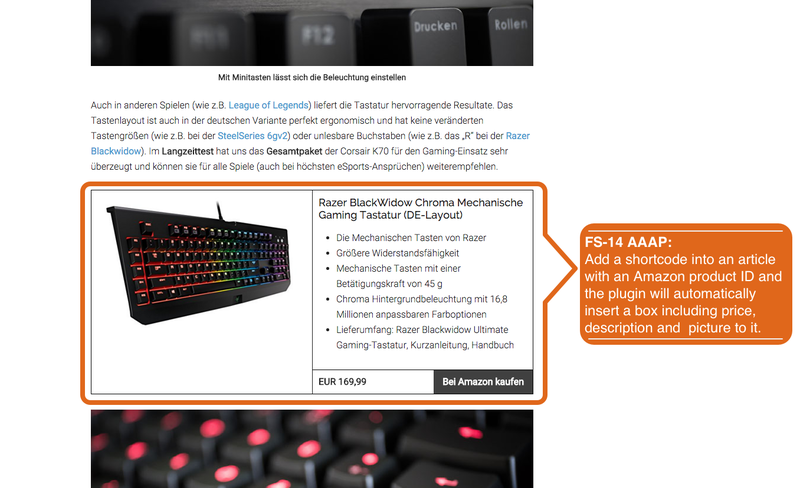 A simple plugin to automatically insert Amazon affiliate links into your sidebar widget according to your specific articles. The Automatic Amazon Affiliate Plugin for WordPress offers a convenient way to monetize your articles. 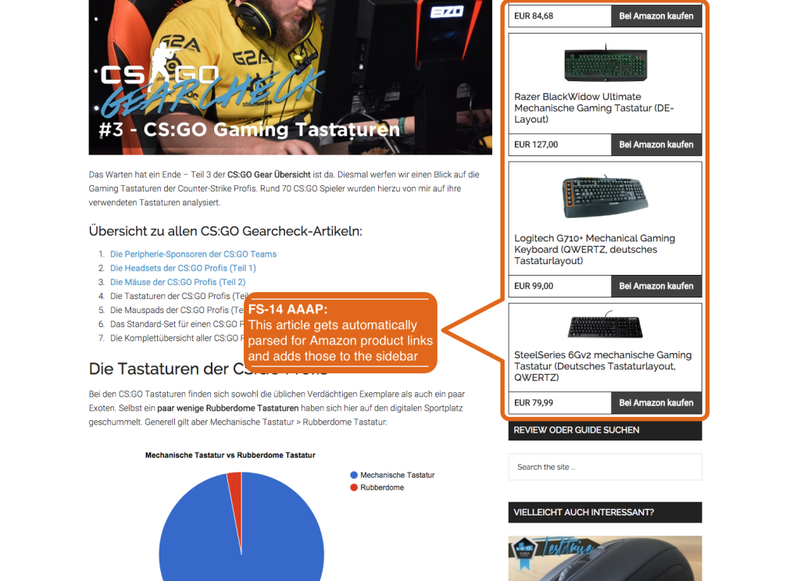 Each article will be parsed for Amazon product links and added as product box into the sidebar widget. Receive more clicks on your affiliate links through highly visible and relevant Amazon products in your sidebar. And one of the best things – it won’t get recognized by an AdBlocker and is fully responsive! Save time! The Plugin automatically detects Amazon products for each article and publishes them in a highly visible sidebar widget! Never worry about updating prices again! The plugin features automatic price updating through AWS API! Profit from higher click-through-rates on your affiliate links with large product images from Amazon is automatically added via AWS API! As an alternative to the sidebar widget you can employ the shortcode that allows including the box directly into articles wherever you want it! This feature is only available in the premium version of AAAP. Feel free to edit the corresponding CSS at any time.